Flowers are more than just ornamental or aesthetically pleasing, to many horticulturalists they are their passion and their livelihood. As a species we have been historically preoccupied with beauty and this goes for anything man made or from within the natural world and flowers especially have been used to reflect our love for visual splendour. The Dutch gave the tulip its infamous reputation of decadence after the social phenomenon in the 17th Century that saw the price of bulbs soar to nearly three times the yearly income of a skilled tradesman. 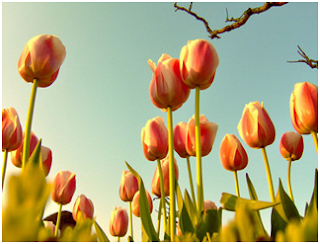 After the ‘tulip mania’ bubble had burst the flower remains to be one of the most favourable flowers in the world. 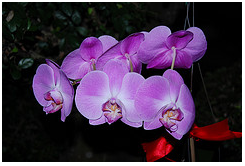 The Orchid is a renowned flower and has been referenced throughout film and literature for example the Susan Orlean novel ‘The Orchid Thief’. Their expression is particularly exotic and impressive especially to the early westerners who travelled the Middle and Far East to be met with these stunning flowers. They seemed so out of the ordinary for the early settlers and therefore became iconic to the exotic within our culture. 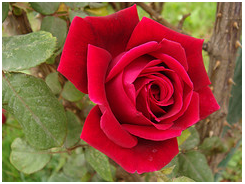 Roses may seem somewhat common place, their cultural significance and unrelenting beauty means they remain near the top of every popular flower list. I love spring because I can take photos of all those flowers! I never took much notice of what they were about or thought, I just love all kinds of flowers, they attract me like a bee! thanks for the input! Flowers can really brighten up one's surrounding with their innate beauty. I love flowers specially tulips. They just gives out a happy and sweet thoughts when I see flowers. I remember my bestfriend who really loves yellow tulips :) In my case I would always love orchids. Our mini garden used to have bunches of them. I remember my grandma's garden, there were different orchids and quite a few roses. I wish we have a garden in the house so I could grow them too.